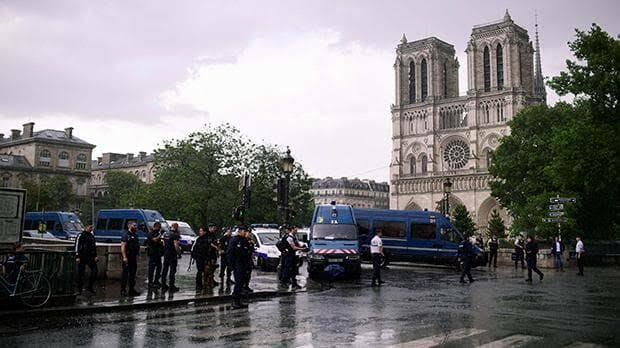 A French police officer shot and injured a man who attacked him with a hammer outside Paris’s Notre-Dame cathedral on Tuesday, authorities said. Police sealed off the area in front of the cathedral, where the attacker lay injured on the ground. The attack comes with France on high alert for more jihadist strikes after a weekend attack in London, where extremists used a van and knives to crush to death and kill seven people, one of them French. Authorities in Paris asked the public to stay away from Notre-Dame, one of France’s biggest tourist attractions situated on the banks of the Seine river in the heart of the capital. French TV reported scenes of panic during the shooting, with tourists scrambling for cover. Next Manchester United tops Forbes Rich list.